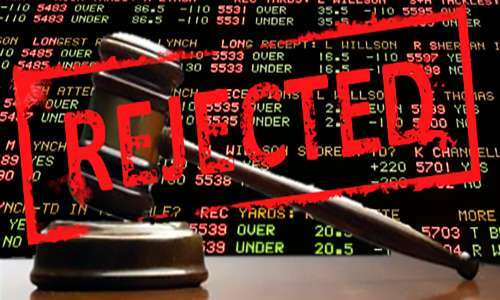 The US Third Circuit of Appeals has again denied the state of New Jersey’s attempts to find a legal workaround to the federal-level Professional and Amateur Sports Protection Act [PASPA] and thus allow legalized sports-betting at selected locations within the state. The latest ruling in the matter came in a long-awaited en banc review of an earlier appellate decision which also favored PASPA over New Jersey. The latest ruling represented a sound defeat for the state’s efforts to evade the PASPA prohibition. In the en banc review, all of the Third Circuit’s appellate judges were eligible to review the earlier decision, in which possible contradictory positions regarding PASPA’s blanket ban and New Jersey’s workaround attempts came into play. A decision that many legal watchers expected to be close turned out to be not close at all, with ten of the 12 en banc panel’s affirming the earlier ruling. Only judges Julio Fuentes and Thomas I. Vanaskie dissented with the majority opinion, which was written by appellate judge Marjorie O. Rendell. Rendell was one of the two Third Circuit appellate judges who earlier upheld a lower-court decision, which went against New Jersey’s “Christie II” law. 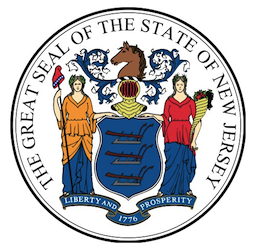 Christie II attempted to do a limited removal of an earlier ban on legalized sports betting in New Jersey, thus allowing the activity to be conducted at certain limited venues in the state, such as casinos and racetracks. PASPA does not commandeer the states in a way that runs afoul of the Constitution. We will not allow Appellants to bootstrap already decided questions of PASPA’s constitutionality onto our determination that the 2014 Law violates PASPA. We reject the notion that PASPA presents states with a coercive binary choice or affirmative command and conclude, as we did in Christie I [the first challenge launched by New Jersey against PASPA, which began in 2011], that it does not unconstitutionally commandeer the states. The 2014 Law [Christie II] violates PASPA because it authorizes by law sports gambling. We continue to find PASPA constitutional. We will affirm. I dissented in Christie I because the distinction between repeal and authorization is unworkable. Today’s majority opinion validates my position: PASPA leaves the States with no choice. While Christie I at least gave the States the option of repealing, in whole or in part, existing bans on gambling on sporting events, today’s decision tells the States that they must maintain an anti-sports wagering scheme. The anti-commandeering doctrine, essential to protect State sovereignty, prohibits Congress from compelling States to prohibit such private activity. Accordingly, I dissent. New Jersey’s backers of Christie II and the attempt to legalize sports betting in the state have not issued statements regarding the ruling as yet. It remains to be seen if the state will attempt another legal workaround to PASPA’s effective blanket ban, which remains the law of the land in 46 of the US’s 50 states. Flushdraw will update the story as events warrant.